Sent to boarding school at a young age, Jack Muir quickly has to decide who he is going to be. Will he roll over or bare his teeth at the bullies, the bullied and the boarding school system? Jack gets by with a quick wit and a macabre sense of humour - but not everyone is so lucky. 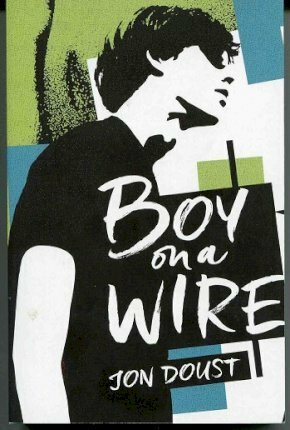 Boy on a Wire depicts alienation and the beginnings of depression with poignancy and humour. Jon Doust has had diverse careers. He was born in Bridgetown into a farming/retailing family and worked in both until he was old enough to know better. Since then he has been asked to leave jobs in banking, the media, retailing (again), farming (again) and comedy. These days he is best known as a writer, professional speaker, big ideas inspirer and community projects facilitator. Some years ago he asked himself the question- Why are people the way they are? That lead him to study Jungian philosophy and to becoming an accredited Myers Briggs Practitioner. None of this has dampened his sense of humour.